Are you relying too much on the test jig? What happens with real signals? Now, it is probably obvious that this is really about fault finding electronic circuit boards rather than complete systems but the principles are universal. The first step in troubleshooting anything (circuit, network, automobile, etc) is to know what to expect in normal operation. This means that you need to have specifications for the system and, probably, its major components and you need to know how the thing is configured, ie you need a system schematic. Please note that such a schematic must actually be a drawing or a sketch (handwritten, computer generated or whatever doesn’t matter so long as it is correct). Verbal descriptions basically are worth the paper they’re written on. OSD sales and systems engineers are very keen to help customers who have technical problems but sometimes waste a lot of time trying to extract basic system information out of some people who seem to find it very difficult to provide accurate information. Exactly the same applies to someone trying to sort out their own network: without a clear idea of what the system is supposed to do and without an accurate configuration drawing it really is just whistling in the wind. So, what are the issues that seem to afflict fiber optic systems? There are two broad categories. Firstly, and what we will discuss today, are fiber problems. Oddly enough, these are usually not the main problem. Which leads to the second : conventional electronic hardware and/or software issues which we will cover in a future Tech Corner. 1. Mismatching of fibers sometimes occurs: different flavours of multimode are interconnected or, worst case, singlemode is connected to multimode. The former will usually result in an extra loss in one direction of 3 to 4dB when transmitting from 62.5/125um fiber to 50/125um fiber and this may be enough to lead to transmission errors or noise in the case of analog systems such as video links. When coupling multimode to singlemode this loss increases to 10 to 15dB and will usually result in conventional systems failing. If using hybrid cables (ie a mix of single and multimode fibers in the one cable) make sure that the cable manufacturer’s documentation is readily available. As stated earlier, it is very important to have a trusted system diagram so that the possibility of such mismatches can be identifed as soon as possible. It is quite difficult to distinguish between fiber types by naked eye and if there is no documentation to allow you to figure it out then it may be necessary to use a connector microscope. 2. As noted in Tech Corners “Fiber Types and Using Them Effectively” and “Mode Conditioning Patchcords (MCPs)” of April and July 2010 connecting a nominally singlemode transmitter to multimode fiber can cause pulse distortion effects which manifest themselves as bit error bursts occurring somewhat randomly. MCPs should be employed in such situations. 3. Mismatched transmission wavelengths. 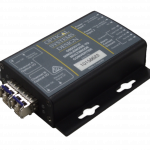 It is possible to buy 100BaseT to fiber media converters specified for multimode fiber but which work at different wavelengths, typically 850nm or 1310nm. The first type will generally go under the designation 100BaseSx media converter whereas the latter will be 100BaseFx. Then there is 100BaseLx which also operates at 1310nm over singlemode but which will usually work over multimode. It is clear that trying to have an 850nm unit talk to a 1310nm unit is doomed to failure but there can also be issues running 100BaseFx and 100BaseLx units together. This is due to the possibility of receiver overload when connected to a 100BaseLx transmitter over multimode fiber. 4. Cable damage is not common: when it happens it will usually be due to the usual reasons such as errant backhoes, people drilling/digging/hammering without checking first: the usual suspects. Normally, it is pretty obvious where the fault is located so fixing it by either replacing the cable or splicing in a new section of cable will be necessary. However, it is also possible to damage a cable or the fibers within without an obvious location and in these situations it may be necessary to use an Optical Time Domain Reflectometer (OTDR). The OTDR works by sending a short pulse of high intensity light into one end of the cable and observing the return signal on a display. The return signal is made up of a back scatter signal caused by Rayleigh scattering and an echo signal caused by Fresnel reflections off connectors or breaks. The combination provides an enormous amount of information to the operator. Another fault location technique which works surprising well over short distances is a very intense red light source (visual fault locator) illuminating one end of the fiber. Fiber breaks will often “spill” out the light and this light can be visible through a patchcord’s jacket if it is not too far (tens to hundreds of meters) from the light source. This tool is also very handy for sorting out which fiber is which in fiber installations. 5. Dirty connectors. It is important to keep connectors clean. Every time a plug is removed from a through adapter it should be quickly cleaned before being re-inserted. Such cleaning might use lint free tissues or wipes loaded with a non-residue solvent such as Isopropyl alcohol or it might be a quick wipe with a clean cloth. While the former is ideal almost anything is better than nothing. 6. Dust caps should be kept on connectors at all times when the fiber is not plugged in as otherwise the through adapter’s internal alignment sleeve can get dirty. It does not matter if the fiber end is clean: if the barrel surface has ‘dirt’, the connector plug’s ferrule will push surface ‘dirt’ further into the barrel and onto the internal optical surface. Using an air duster (such as Chemtronics duster) and/or an In-Adaptor ferrule cleaner (such as HuxCleaner) will remove such dirt. 7. Sometimes the internal ceramic alignment sleeve used within through adapters in both equipment and optical patch panels can be cracked or broken due to mishandling. This often causes either complete failure of the through adapter or an increased through loss. 8. Check patch cords connectors around the strain relief area: sometimes the plastic jacket becomes detached from the connector which can lead to excessively tight bending of the fiber which, in turn, results in excess loss. 9. Wavelength dependent excess loss. The loss of a singlemode fiber is typically about 1.5dB/km at 850nm dropping to 0.35dB/km at 1310nm and to 0.16 dB/km at 1550nm provided the fiber is under very little stress which is the usual situation in most cables. However, most singlemode fibers are somewhat sensitive to tensile or torsional stress, a lot more so at 1550nm than at 1310nm. When splicing fibers it is normal to measure the loss of the splice either by an end to end measurement or via an OTDR. It is very important with singlemode fibers that the loss be measured at both 1310 and 1550nm: sometimes stress on the fiber can add a minor amount (0.05dB say) of loss at 1310nm to the intrinsic slice loss but possibly as much as a dB or more at 1550nm. If this occurs it tells the splicer that he must resplice. If this isn’t done, the fiber goes into service and it is always operated at 1310nm then there will be no problems but should an upgrade occur (eg using wavelength division multiplexing to run both 1310 and 1550nm signals over the same fiber) operatiion at 1550nm could be marginal. 10. Always ensure that there are no stress points along the cable as the excess losses mentioned in Ponts 8 and 9 above may occur at such locations. Measure output power of transmitters and received input power to receivers. This is handy as part of the quality assurance procedures of a newly installed system doing it after a problem develops quickly isolates the general location of the fault, ie transmitter, the cable infrastructure or the receiver. In conjunction with an optical attenuator measure system margin. The optical attenuator can be a sophisticated and expensive piece of equipment or it can be as crude as a gap attenuator formed by two plugs fitted into a through adapter. If you have any question please don’t hesitate to contact OSD’s systems engineers.